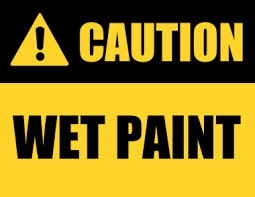 If you see a sign that says "Wet Paint"
In the early days of my security career I came to the conclusion that some people have a natural curiosity that drives us in ways many can't understand. Although there is no right or wrong answer to the question above, a persons answer can give an insight into their way of thinking. For myself, I would most likely touch it. First and foremost, curiosity simply drives me to validate the sign. Ironically this applies even more so in security, we can't always trust what we're being told. An old Russian proverb puts it nicely.... "Trust but verify!". That proverb applies very nicely in security and in today's world of rapidly changing landscape of APT malware & threat actors, many traditional security defense methodologies are failing for various reasons. We must be diligent in our observations, learn and above all, share our knowledge with those we trust.